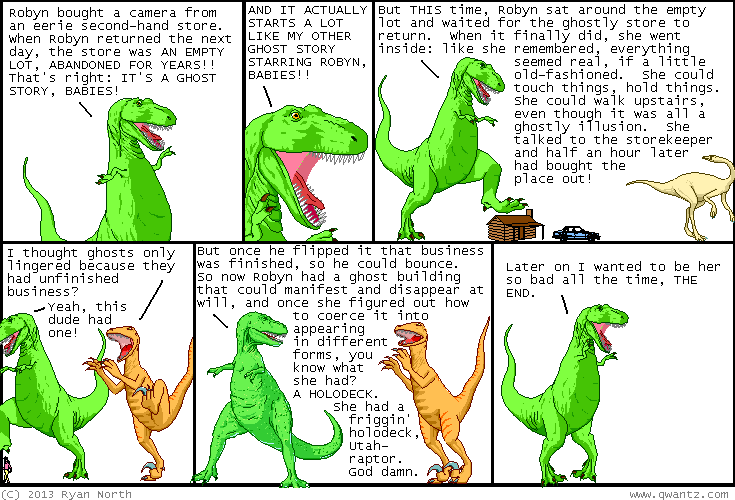 Dinosaur Comics - October 1st, 2013 - awesome fun times! October 1st, 2013: Whoah today the URL says ?comic=2500 and that is a lot of comics! CONGRATULATIONS ME, YOU ARE AT THE VERY LEAST PROLIFIC! Remember when T-Rex wanted to eat some grey cubes? Now you too can eat some grey cubes and make them in the comfort of your own kitchen!